UPDATE: Please note that for the latest news, go to ARCADEHEROES.COM. The site made a major move after the post below but we have kept doing the same thing, reporting on the world of arcades. While we eagerly await news from the Sega Private Show to come about, including more information on GRID and Let’s Go Island, let’s take another look at the recent JAMMA show that took place in Japan. First off, Taito released a video featuring an overview of their booth, which includes the first footage of their new racing title, Battle Gear Spin Wheel. 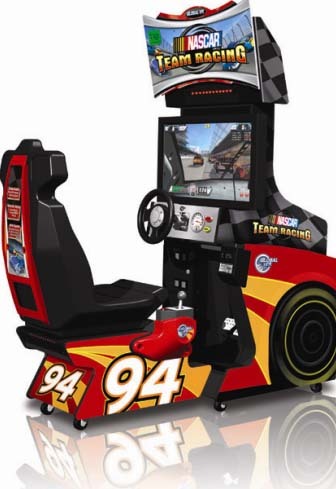 This one won’t have any trouble earning it’s place on the list of “quirky” arcade titles as you will see briefly below. Here is a brief look at the Sega and Namco booths from SankeiNews, which shows a quick clip of Deadstorm Pirates 3D. This user, wx4058, has posted tons of videos from the show, content includes Gundam Extreme Vs., Blazlbue Continuum Shift II, Initial D AA Arcade Stage 6 , Shining force Cross Raid, Pengo, Pac-Man Battle Royale, Darius Burst and more. To get to the JAMMA stuff you’ll have to scroll down past all of the Tokyo Game Show videos. I am surprised that no one tried to get any video of the autostereoscopic displays that were there, at least as a means of discussing the topic. With the move just about complete (please let me know what you think of the Theme – the one we had been using doesn’t seem to be available so I’m changing it up) I have some time to post about the big news that came out while we were moving the site. The producer of Tekken, Katsuhiro Harada made an announcement while TGS was taking place but more specficially at the Super Battle Opera, a popular fighting tournament in Japan that we’ve covered in the past. To everyone’s surprise it was a new Tekken game that wasn’t exactly Tekken 7 but instead, a followup to Tekken Tag Tournament. 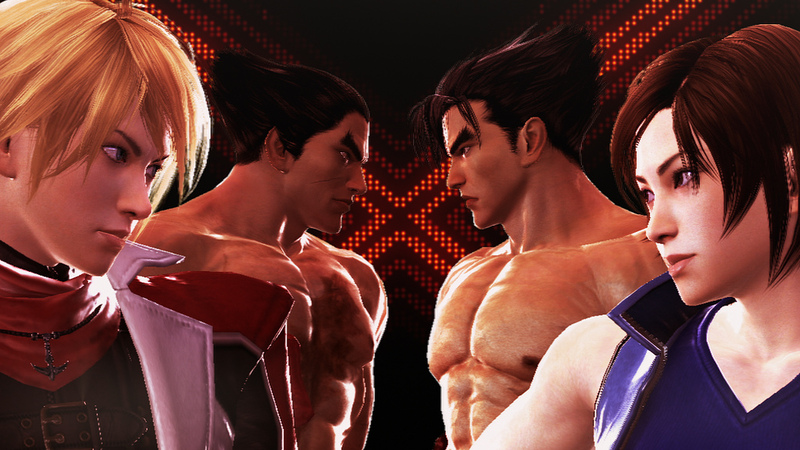 TTT2 will be coming out in arcades next Summer in Japan, prior to the release of Street Fighter X Tekken and Tekken X Street Fighter (in that order). The Tekken 6 engine has been modified for this game to allow for the extra characters on screen and the control scheme will be like that of the first Tekken Tag Tournament. 2011 will be an excellent year for fighting games although for us arcade purists the probable console releases loom over that positive outlook for next year. Hopefully Namco will be able to release TTT2 for much less than they did T6. We are moving the website to some new hosting services which will hopefully give us some extra flexibility as to what we can do with the site. I’m not sure how long the site might be down for but it shouldn’t be for too long and hopefully it will work out properly and nothing (except some really old videos we had uploaded to WP ages ago) will be lost. We’ve been having a lively discussion about Capcom and their attitude towards the arcade market in the SSFIV Price Tag comment thread and surely this will continue to stir the debate. Capcom has already stated that there are no plans for Marvel Vs. Capcom 3 in arcades, which is something we heard about early on about SSFIV as well. Now we have this video from Japanese news site Gigazine that shows a very arcade-like setup for MVC3 at what I assume is the Tokyo Game Show. We still can’t get our hopes up yet – if it were a real arcade release we would expect to see it in a VEWLIX cabinet and I haven’t seen any “MVC3 coming to Arcades” announcements yet . As such this looks like an ‘arcadified’ kiosk, similar to what we saw recently at PAX in the US so all we can do is dream (or I’m sure people will be planning their own MVC3 home-made arcade cabinets). Once again, this is where the Game Gate VU can come in handy, as that has a modular control panel where you can add arcade sticks to itassuming that MVC3 will be a part of the iGames license which includes Capcom games. Arc System Works has released a trailer for their upcoming fighter, Blazblue: Continuum Shift II, where it showcases a few of the new characters that will be joining the roster. Unfortunately the video quality isn’t that great, which is strange since it’s coming directly from the company itself and BBCS2 is an HD title. We all know about BBCS2 being the essential “launch title” for Taito’s new digital distribution service, NESiCAxLIVE and I’ve found out a few more details as to how that works. If an operator wants NESiCA, they need to purchase a server for 89,000¥ (about $900). Then as I understand it, they can then purchase something like BBCS2 online for a few hundred dollars less than a PCB (ex. BBCS2 is about $2000USD digital, abt $2300 PCB), although you will need Type X2 board to load the software onto. Taito mentions that some services will be free on NESiCA, others will cost a fee and playing a game downloaded via NESiCA is one of those activities that will be fee-based. It’s comparable in this manner to the CoinUp side of the Big buck Hunter games – the game let’s you pick between an online and an offline mode, if the player wants online then the cost of that is higher by a couple of coins. The big question is how will players take to that extra fee on NESiCA?